A few Sa"Tater"days ago, Xman and I went digging for potatoes. 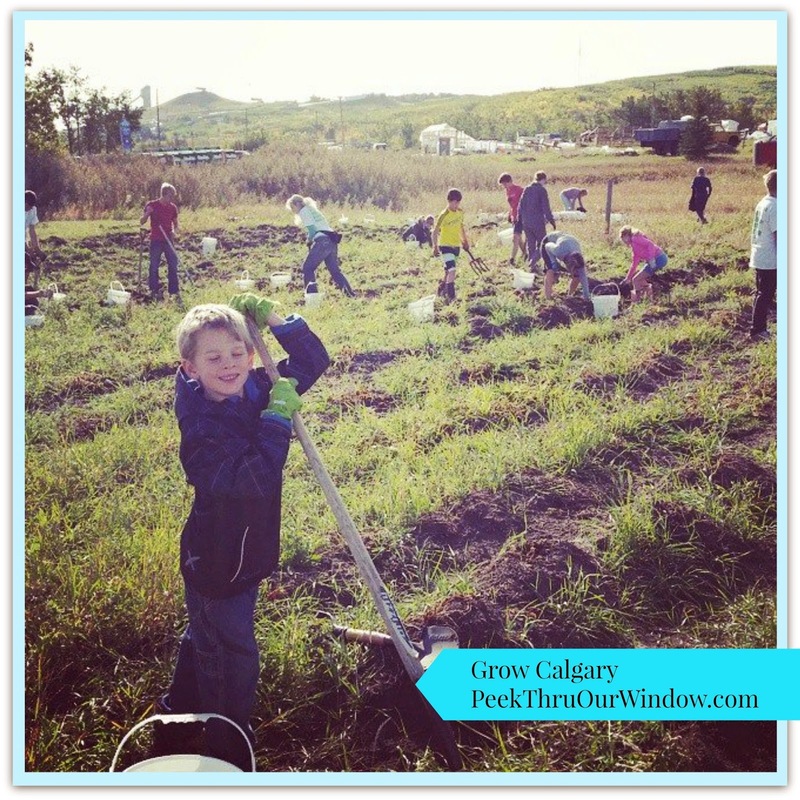 Grow Calgary is an urban farm in Calgary, that helps supply the Calgary Food Bank with fresh produce. Some of the first potatoes harvested, were whisked away to a fire pit for our lunch (digging is hard work). It was the BEST baked potato ever! In the first section of the picture below, you'll notice that these farming acres are very close to Calgary's Olympic Park. Urban farming around the ring-road--- what a great idea! 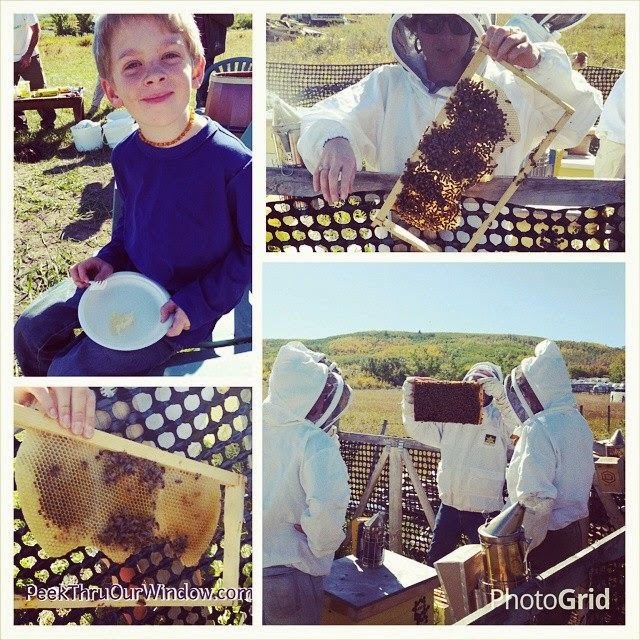 Xman and I discovered the apiaries on site. We watched students learn about bees and how to keep them happy. What a handy thing to have nearby the fields you are farming. 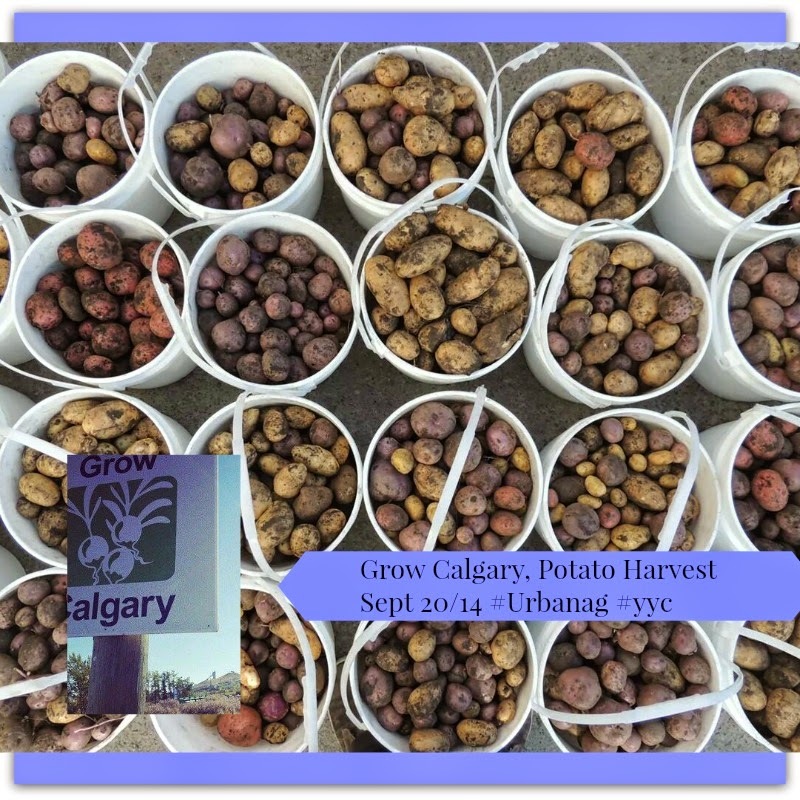 1500 lbs of fresh organic Calgary grown potatoes. 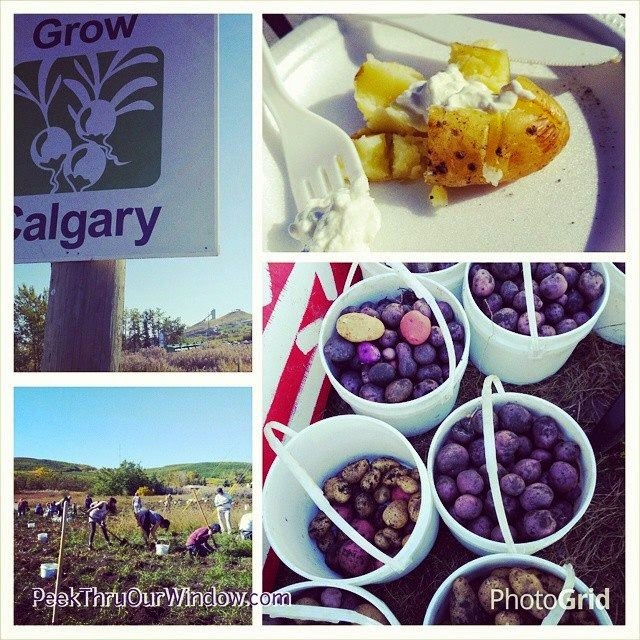 We can't wait to get more involved with the Grow Calgary program. Stay tuned for season 2015!